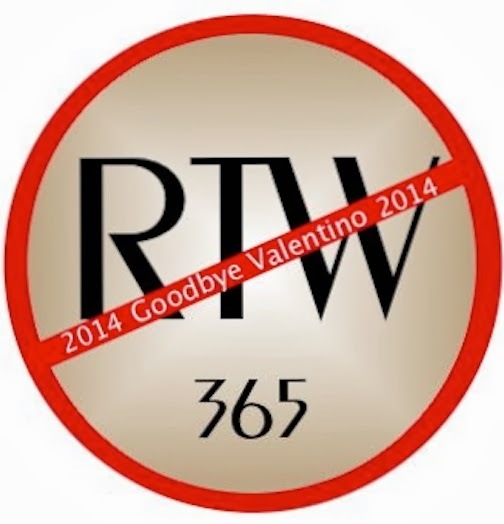 My Ready-to-Wear Drama: The GOOD News and the BAD News! I have not succumbed to the, sometimes overwhelming, urge to buy stuff! My life is so crazy that I have not picked up a needle and thread since January 1, 2014. Does this mean I am winning or losing? Fact: I possess a fair amount of self-control but this trait is in direct and constant conflict with my lack of patience. So, given these two facts one might predict that my pledge to become a "Ready-To-Wear Free Zone" in 2014 is doomed from the start! I have TOO MANY DAMN CLOTHES - most of which I rarely wear. I know that I am not alone in this transgression! I have become a complete devotee of (read: obsessed with) buying vintage, consignment and/or thrift - - perhaps too much of a devotee (which has contributed to #1 on this list!). Unfortunately it appears that my RTW fast also extends to these types of purchases so this is where my self-control gene needs to up-regulate! 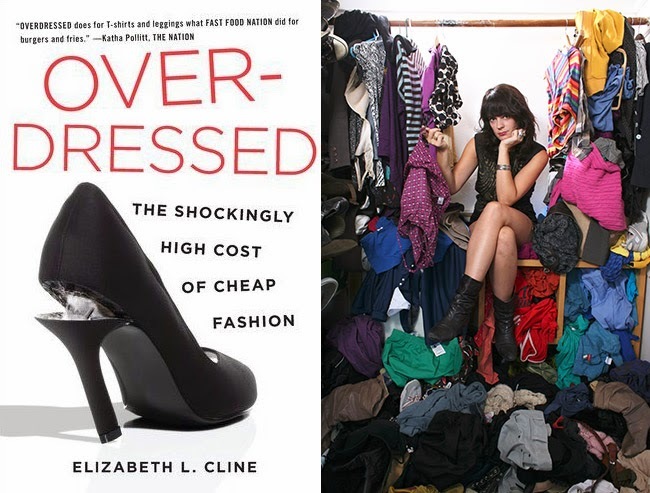 I am reading "Overdressed: The Shockingly High Cost of Cheap Fashion" by Elizabeth Cline. The Huffington post describes her book this way: "Cline dissects the current state of global fashion production and consumption, putting America's habits into a pretty dim perspective." There are no trends anymore. According to Cline, gone are the days of discernible decades. While the '80s had hammer pants and the '90s had crop tops, the rise of "fast fashion" has made it so that those who came of age post millenium will be without a quintessential embarrassing trend. We're addicted...to low-cost items. She writes that we've grown accustomed to paying less and getting more -- a lot more. According to Cline, American families spend an average of $1,700 per year on clothing, and, as a nation, we're hoarding about 20 billion garments per year. If you've ever over-rationalized a potential purchase ("I don't need them, but you can never have too many pairs of jeans, right? "), this number sounds about right. So many items of clothing to buy, so few places to buy them. While we're being over-inundated with actual pieces, our store options are being pared down with huge chains dominating the industry, leaving us with fewer places to shop. Polyester is now the world's dominant fiber. This really drives home Cline's "quantity over quality" point. The cost of producing garments in New York's famed garment center hasn't risen much over the years. Contrary to popular belief, the actual cost of producing clothes in the once-thriving hub has remained pretty much the same. The price of producing garments outside the United States, on the other hand, has become ridiculously low, effectively ending the heyday of domestic fashion production. While the price of housing, gas, education, health care and most other basic necessities have been steadily on the rise, clothing prices as a whole have dropped. This may be hard to believe after Kanye's Nike Airs sell for $93,000, but there are certainly a lot more people queuing up in front of H&M to buy discounted Versace than bidding on five-figure kicks. The entire life cycle of a Zara garment is a mere two weeks long.Zara can design, produce, deliver, display and theoretically sell a piece of clothing in just 14 days. This may help justify the high price of a pair of Christian Louboutin pumps versus the affordable, red-soled versions from Zara. 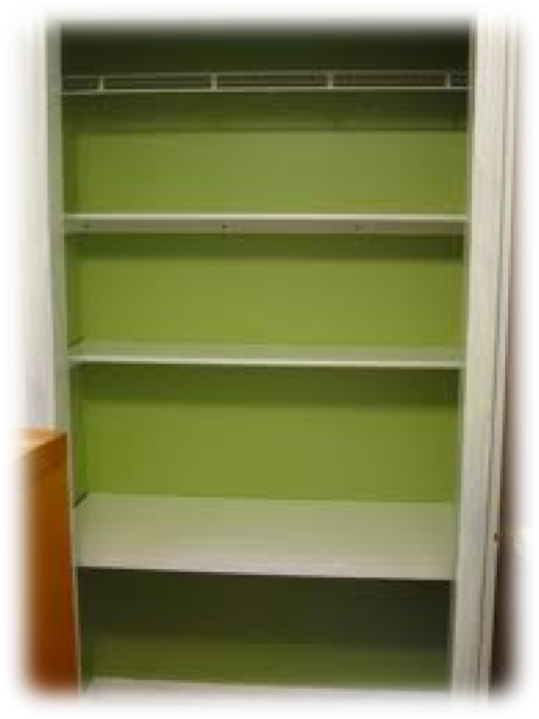 Fashion retailers are in cahoots with IKEA and The Container Store.Well not exactly, but cheap decor companies are making a killing on closet organizers to keep our massive collection of clothes from burying us alive. The Salvation Army is never wanting for clothing donations. Ever.Cline visited a major distribution center in New York City and found out that they process an average of five tons of garments every day and only choose 11,200 to send out to stores. In a perfect world, we would sew all of our own clothes. Kind of. Cline argues that the overconsumption of fashion has led to a decline in craftsmanship. In a chapter entitled "Sewing Is A Good Job, A Great Job," Cline asserts that the emphasis on speed and cutting costs has essentially made our clothes as disposable as a paper cup. What if we promise to buy our clothes from Etsy? OR TAKE THE RTW PLEDGE???? Thank you for your PATIENCE in reading this long, wordy and nearly photo-less post - clearly my SELF-CONTROL was not engaged this morning - but I wanted to share with you (or perhaps remind myself) why I joined Ms Gunn's merry band of fasters when so many of us continue to gorge ourselves on fast clothing! Be brave. Face that stash pile. Open your eyes. What do you see? Endless possibilities? 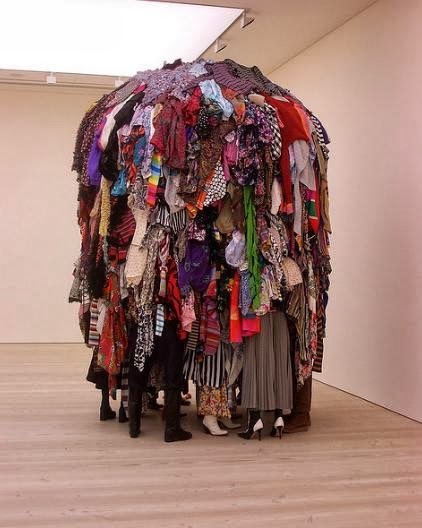 Mounds of mismatched and disparate textiles? Maybe a bit of both! Let's resolve to cull that stash pile. Send your discards to those who will love it anew. Embrace (REALLY embrace) the cuts left behind. Dream and create. Cut and sew. 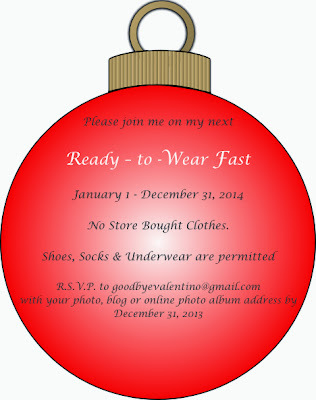 Wear and regale. I am. Let's do it together! You all are my motivators! but soooooo long between posts. Not really sure that I have a good reason for my absence except that life gets busier and busier and I believe I've been eaten by Facebook! Anyway I do have a few items to show for all those lost hours! First - a maxi dress that I made using a very fine cotton-silk blend I picked up in NYC last season. The fabric feels like butter and was a bliss to work with! I used Vogue 8241 - easy peasy with very straightforward instructions. No real design changes/enhancements except that I used a different technique than offered in the instructions for "flipping" the bodice - same result - and I lined only the bodice in a black china silk. I've wore it out for a nice summer dinner as well as to a beach party - - really versatile! And then there's my newest, um, obsession/time sink/money hole - knitting! 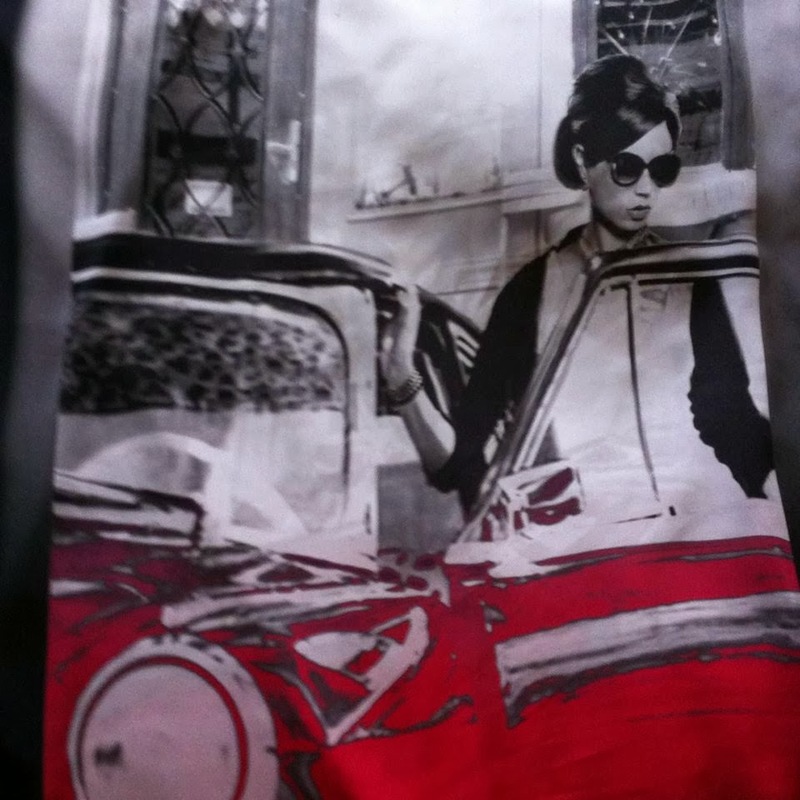 And here is my first real, DRUM ROLL, sweater!!! I did it! I made a real live sweater from the top down! And it fits! And I like it! And I wore it! None of these statements did I EVER think would ever be uttered from my mouth about something I knitted! I owe my success to Rachel at Looped Yarns for her support and stellar instructions (and did I mention her support???) The pattern is designed by Elizabeth Smith from The Brown Stitch. Great pattern for a beginner - pretty straight forward but with lots of challenges from which to learn! Thanks for peeking in on my progress! 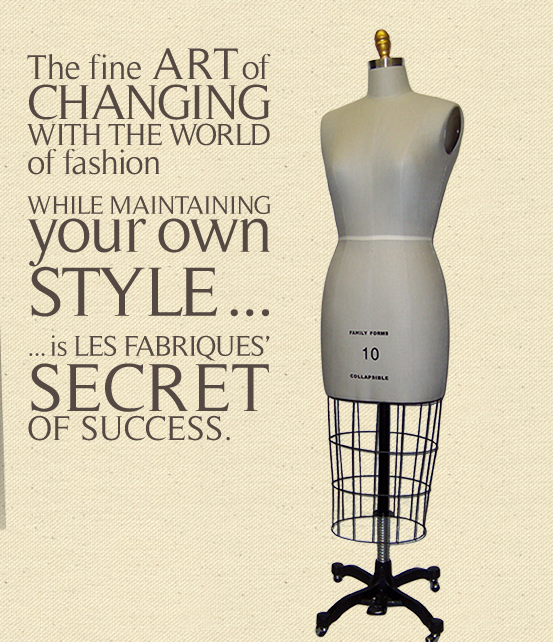 Am working on a great mid-weight linen jacket for fall! About to head in to cut it out now! DC Threads hosted DC's czarinas of vintage fashion to a packed crowd at Bits of Threads Sewing Studio. Lisa of Quarterlife 202, Erin and Nora from Ginger Root and Shannan of Junction Vintage shared their collective wisdom and tales with over 50 sewists and vintage fashionistas. And many thanks to Fabric and Trimmings for donating the chic seersucker cut of fabric! Let's let the evening's pics speak for themselves! Many many many thanks for your support of DC Threads and our Sip and Stitch Events! Here is a little something from BisNow DC! Thanks much to Katherine for your amazing vision and incredible generosity! What a great evening! BisNow went to Woodley Park’s Carbon for Mother Earth Inspirations: Earth Day Eco Fashion Show for an exclusive look Friday at NY eco designer Auralis' Spring 2011 line. 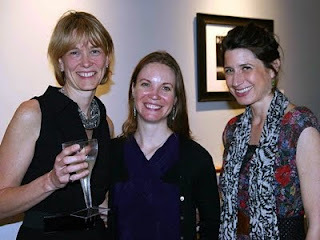 Proceeds went to DC Threads, a volunteer-driven initiative promoting the art of sewing and stitch crafts, whose reps, Laura Lee and Allison Lince-Bentley, are with Carbon owner Katherine Limon. 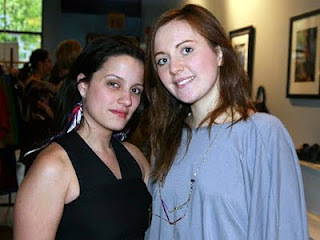 Auralis’ Suset Laboy and Jenny Macgregor-Dennis look chic in pieces from their line. The ecologically conscious designer uses hemp, organic cotton, and bamboo to create trendy apparel. 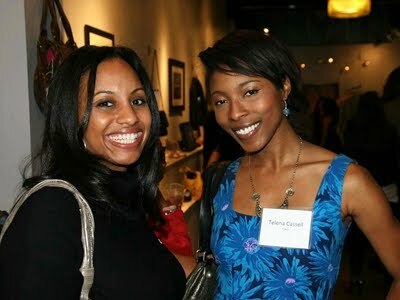 Guests enjoyed organic wine and hors d'oeuvres while browsing Carbon's sustainable items. Before the fashion show, we saw Kenya Wiley and fashion blogger Fashion Cloture’s Telena Cassell. And thanks to those wonderful folks at MetroMix for some more fine pics of the evening! 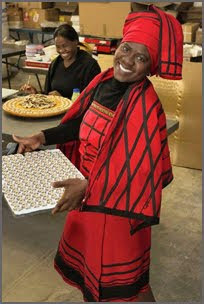 Incomparable Buttons was started as a small company in 1984 in Johannesburg, South Africa. Working around a kitchen table, often late into the night, Jennifer Pascall was busy transforming small pieces of clay into buttons of all shapes and sizes. Many of the first designs, which are still popular today, were inspired by Africa’s rich ethnic artworks and distinctive wild animals. Over the years Incomparable began specialising in the creation of handmade buttons, craft pieces, craft kits, painting kits, greeting cards and jewelry. Jennifer Pascall and her team contacted us to inquire if we would be interested in GIVING AWAY some of their B-E-A-U-T-I-F-U-L buttons to our DC Threads Community! Buttons from heaven!!!! After we read about Jennifer and had the opportunity to "chat" with her about her South African community and her crafting philosophy we immediately were interested in sharing Incomparable Buttons' art with our community - and the reception was incredible. "I’m so excited about my beautiful new buttons! that will be perfect for one of my more special projects. Maybe the wool coat I’ve been working one!!!" "The cupcake buttons are adorable. I love baking so it shows off my other interests. I would like to attach them to a big canvas bag and use it everywhere." "I love the cute sheep buttons! They’re unique and I love the fact that they are washable. Thanks so much!" "Lovely buttons – nice colors and a great size!" "The butterfly buttons are BEAUTIFUL! I love the blue, purple, and indigo glaze. They will be perfect on a jacket." I chose the 4 white and 1 black sheep. 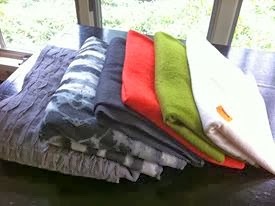 I want to make a jacket that will use all 5 of them with the black one in the center. but the others will be used as decorations." "The yellow buttons are the color of the desert sand – a very natural shade. I will probably use them on a dark colored shirt or dress. Thank you." We promise to post photos of all the fabulous garments embellished with these lovely buttons!!! Be sure to check out the Incomparable Buttons blog!